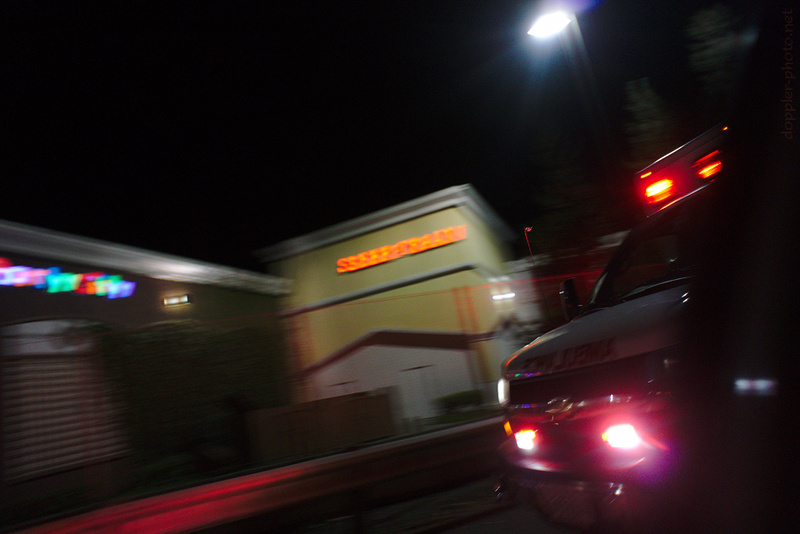 On Saturday morning, Oct. 6th at around 1:00 am, some friends and I were returning home from Berkeley, south-bound on interstate 880 when I spotted an ambulance in the #1 lane in the distance. As we came over a rise, we found heavy traffic and a throng of flashing emergency vehicles — clearly indicative of some significant incident. While five lanes of traffic slowly drained toward the Alvarado-Niles Rd. exit, two ambulances and a fire chief rushed by on the right shoulder. My friend was driving, which allowed me to take photos from the sunroof. As we crept forward, I spotted the badly-mangled remnants of a car along the median, surrounded by fire-fighters and what look like EMS personnel. 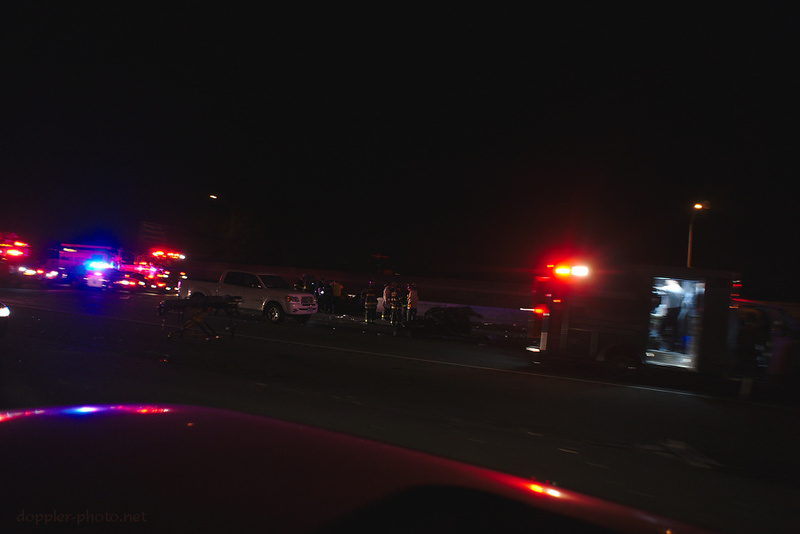 According to the Redwood City-Woodside Patch (including reports from the Bay City News Service), Palo Alto resident Charla Suzette Smoot Pate was driving the vehicle, a Mazda 323, in the slow lane when she lost control and crashed into the median. The car came to rest on its side in the #1 lane. As we passed, I noticed that the car seemed to be in two distinct pieces. In the photo, you can see one chunk against the median, directly behind the white truck and surrounded by people, and another chunk to the right of the group of firefighters. Additionally, I spotted a white Chevy Impala with significant impact damage on its right-front corner. There were other vehicles stopped, but they didn't appear damaged. 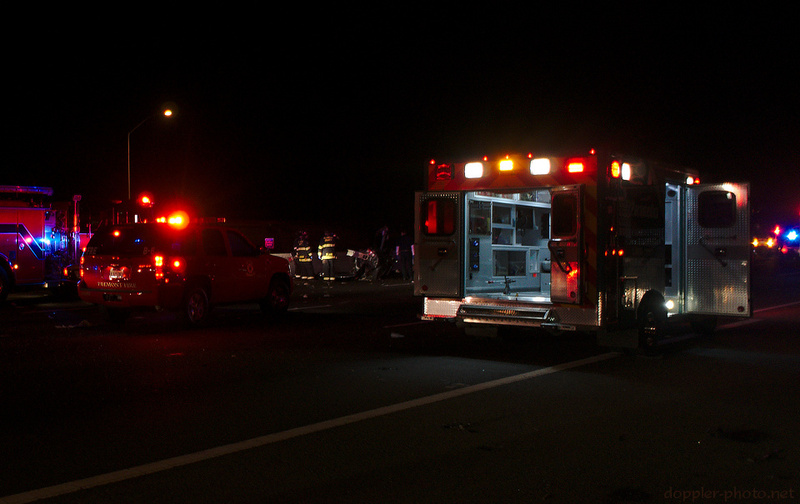 From the Patch, Pate's vehicle was struck by a 2003 Chevy Impala, causing it to separate into three pieces. Pate was pronounced dead at the scene.